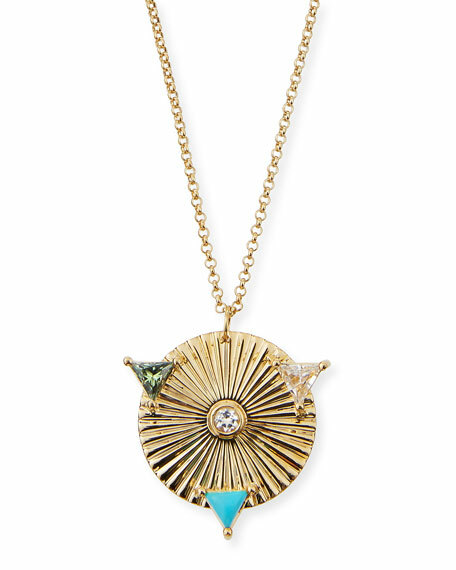 A richly colored brooch-pendant and gleaming golden hardware make this Oscar de la Renta necklace one of the most covetable statement pieces of the season. Yellow golden pewter and brass. 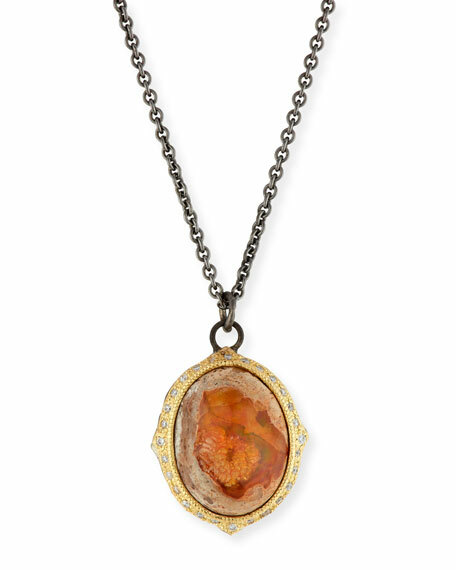 Enamel cabochons and faceted crystals shape pendant. 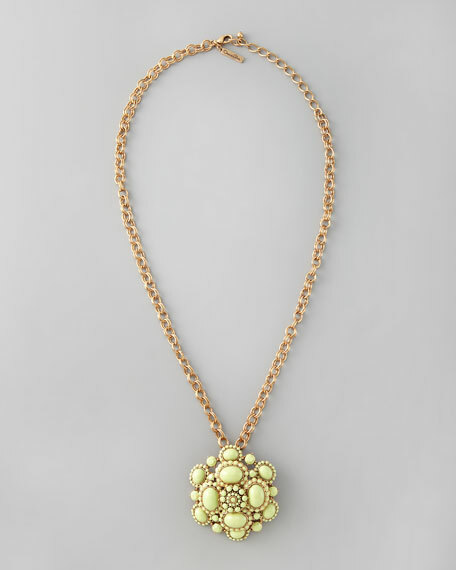 Pendant may also be worn as a brooch; features small bar-pin back to minimize hole in fabric. Lobster clasp with chain extender and small logo charm. 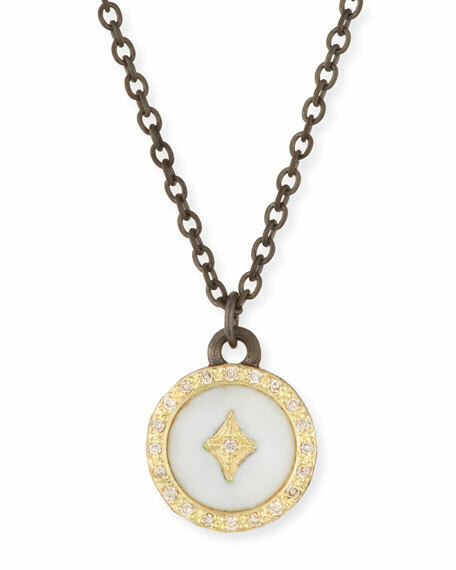 LANA pav disc pendant necklace from the Flawless Collection. Signature 14-karat white gold flat link chain and hardware. 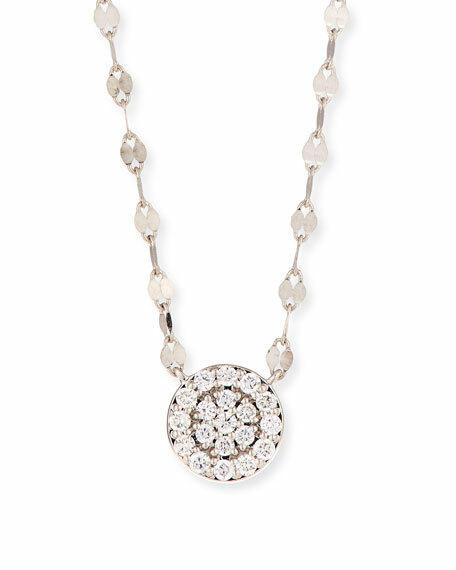 G-H/VS-SI1 pav white diamonds detail disc pendant. 0.1425 total diamond carat weight. Lobster clasp. Approx. 18"L. Imported.